Haar leven leek perfect maar die gedachte was levensgevaarlijk! (Dutch) Her life seemed perfect but that thought was life threatening! Jack Saunders: Hi. There's no place to go now, Adrienne. Now there's nowhere to hide. I don't want to hurt you Adrienne. I never wanted to hurt anybody! But when I have to do something, I do it. I always do whatever comes next, no matter how difficult it is. If I have to do something then I do- I always do whatever comes next! No matter how difficult it is! 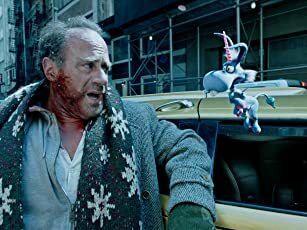 I will say this, Goldie Hawn and John Heard did offer up good performances as the leads. The plot was OK, and the dialogue was pretty good, not anything great, just pretty good. The last about 25-30 minutes was very entertaining and fun, the best part of the whole movie. The middle of the movie did kinda drag on a little, that's why it's not getting a higher review. I do suggest the film as a basic thriller, if you're in need of one at some point, although I do think you could find a better one than this. 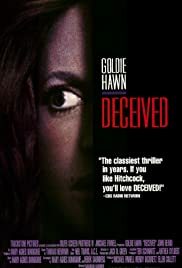 6/10 for deceived (1991). Not one of Goldie's best, but definitely not terrible. Oh and one more thing, I did enjoy the actress that played Goldie and John's daughter Mary in the film, I thought she did a great job playing her role.